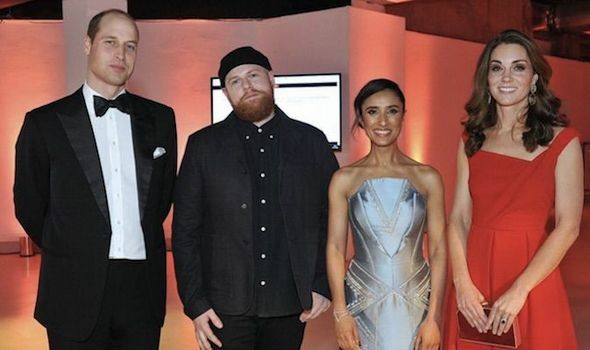 MEGHAN Markle and Prince Harry joined Kate and Prince William for a double date at the Royal Foundation dinner at Victoria House in London, with the royal power couples enjoying an evening of food, music and laughter amid news of the couples ‘going separate ways’ next spring. Meghan was in typically high spirits as she relaxed into the evening, showing off her baby bump in a strapless black dress. Her sister-in-law Kate, the Duchess of Cambridge, wore a sleeveless red gown which royal fans will noticed was first seen during her royal tour of Canada in 2016. 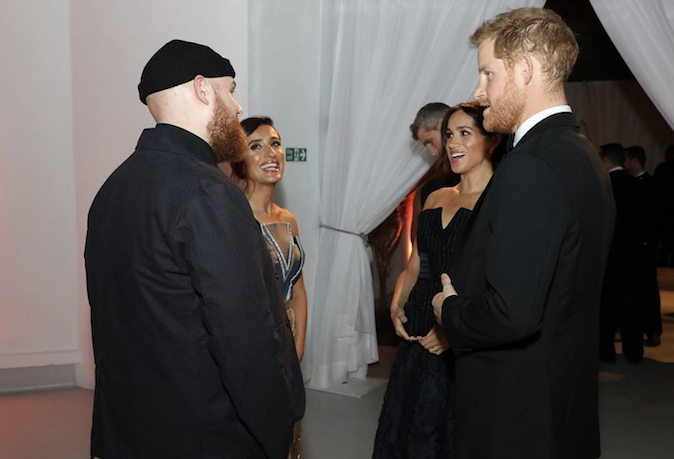 Meanwhile Princes Harry and William looked their usual dapper selves, both dressed in black bow-tie dinner suits as they were pictured conversing with songwriter Tom Walker who performed at the event. 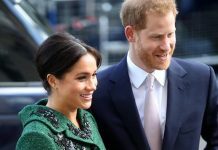 The Royal Foundation looks to unite people from various sector to tackle global issues, such as illegal trafficking, animal poaching and mental health – issues all close to both couples’ hearts. Guitarist Mr Walker later shared photos of the royals, affectionately dubbed the ‘Fab Four’, on Twitter and Instagram. The two couples stepped out following reports Prince William and Prince Harry will break up their royal partnership in order to follow their own ambitions. The move would see both Harry and William each have a separate office as they pursue their own paths. 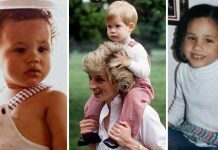 The Sunday Times reported that the break, which would allow William to prepare for his future role as The Prince of Wales, would likely happen when Meghan gives birth to the Duke Duchess’ first child in spring 2019. 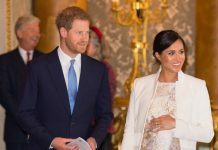 Royal author and expert Sally Bedell Smith told PEOPLE: “The arrival of Meghan has changed the dynamic of the relationship in a fairly significant way. “It is inevitable and practical because it gives Harry and Meghan some freedom to build up their own collection of interests and charities. 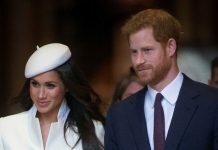 But for now, the dynamic between the young royal couples remains as strong as ever, as they continue to enjoy their lives as they bright new hopes of the British Monarchy.